Whining and complaining can drain the energy and patience of even the best parents. While these negative habits are developmentally appropriate, neither behavior should go unaddressed. It can be hard to know what to say or do when your child whines and when it comes to whining, not all parenting tactics are as helpful as others. 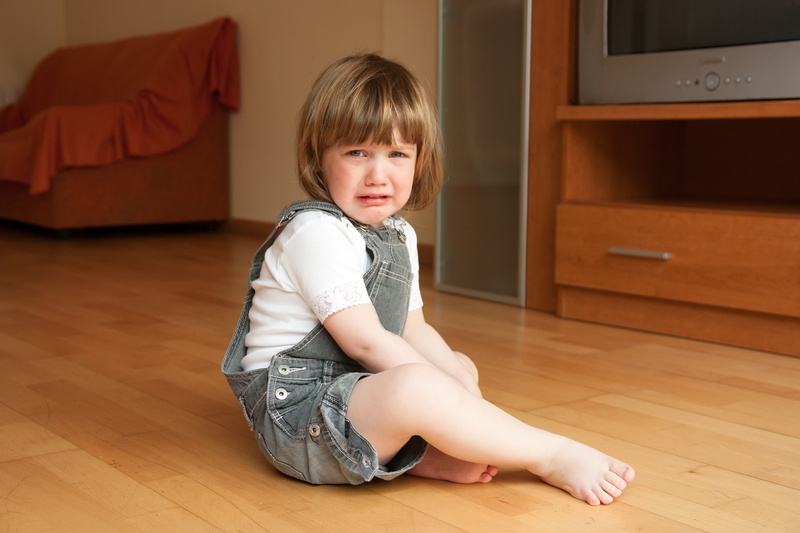 Whining behaviors stem from genetic and environmental roots. Some children will be more prone to whining and generally possessing more negative feelings in life. In fact, general negativity can be linked to possessing a certain “negativity” gene that is more common in certain races (most common in Caucasians and least common in African Americans). Sensitive children will also whine and complain more because they feel loss, annoyance and disappointment on a much stronger scale than other children. For example, when a sensitive child is hot, they will feel unbearably hot and it will distract them from the jobs they need to accomplish or bar them from enjoying themselves in a more fun and relaxed setting. Therefore, parents need to be prepared to accept individual differences in their children when addressing whining and keep in mind that empathy is just as important as setting boundaries. Below you will find your parenting game plan to address whining and complaints. Try out the strategies and determine which work in your household. 1) Recognize your child’s complaint and repeat the problem back to them in an empathetic way. For instance, “I am sorry to hear that you’re hot! How uncomfortable!” It can be tempting to ignore a complaining child or say, “I can’t hear you when you use that tone of voice.” The problem with that tactic is that the child knows you can hear him and that you’ll respond, because you did so by intentionally ignoring them and/or speaking to them. Whining is your child’s immature way of trying to met their needs. Remember that they have very little control over their lives and when they want something, they have very few ways to go about obtaining their desires. By offering empathy (even if you feel it is undeserved) you will help meet their emotional needs and it will open the door for more conversation to address their negative behavior. 2) Teach your child perspective. Continue your conversation by reminding the child of the bigger picture. For instance, “In order to be at the zoo today, we’ll all have to get a little hot to see the animals.” Or, “Yes, we are all hot too. I guess we can be hot together.” Also, “Thank goodness we’re out today because yesterday was even hotter.” Finally, “Look, I see some trees up ahead. I will be so thankful to be able to take a break in the shade.” We don’t live in a perfect world and it can be hard for children to accept this fact and harder even for parents to accept that truth for their children. Stay matter of fact and try to teach gratitude along the way and focus on the fact that suffering and discomfort can be taken on as a team. 3) Explain how negative speech makes it harder for your child to get what they want. It can be helpful for a child to learn why whining is an ineffective tactic to obtain their wants and needs. You can say, “When you talk like that, I don’t want to help you. I prefer helping people who ask using please/thank you/kind words/sweet voice.” You can go on to say, “When people hear whining they feel sad and sometimes angry. If you need something from someone, it isn’t a good idea to make the person angry by whining.” You can demonstrate the difference between whining voice and normal voice. Role play and ask your child how they feel when they hear whining. Do they want to help whiners? 5) Play into the rule game. Recall that children love rules as they give them a sense of comfort and an instruction manual for the game of life. If your child isn’t responding well to conversation, you can explain the whining rules. “When you whine, I can’t help you. When you ask nicely, then I can help.” Children understand this statement because they see the world as acting upon people, instead of people acting upon the world. It makes sense that you are unable to help because the rule requires that you refrain. This is different from “I can’t hear you and so I can’t help”, which is clearly not true, as you can still acknowledge and empathize with your child, while waiting to act until they use a more positive communication method. 6) Nurture a thankful spirit. During normal and neutral parts of the day, talk about things that make you thankful and point out blessings and other good, common aspects of life. “Wow the air conditioner is working. I am so thankful to enjoy cool air inside on a hot day. So many people can’t afford an air conditioner in the world.” Build thankfulness into your day by sharing things that you are thankful for regularly at meal time or bed time. Go places that are not as nice as where you life, shop in other neighborhoods and look at pictures of people in very different situations from your family. Explain how much your children enjoy and let them experience how much they have to be thankful for.